Freshly caught fish and chips at Rick Stein’s in Padstow. Walking for miles along white and pristine sandy beaches. The wild Atlantic surf crashing into the cliffs below you. Vast selection of local Cornish galleries and traditional culinary delights. 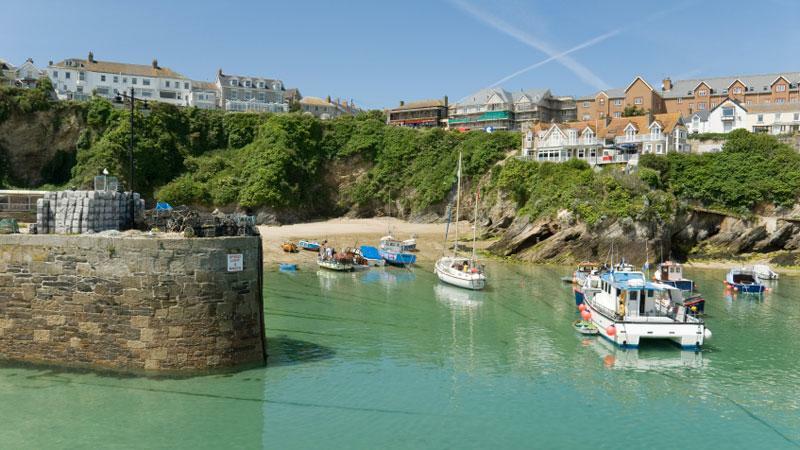 Walk along Cornwall’s Atlantic Coast from the charming seaside town of Padstow to bustling St Ives on the South West Coast Path. Golden beaches, picturesque fishing villages, wild seas crashing and secluded coves are all features of this wonderful week of walking. As you head south you will discover estuaries full of fauna and flora, some of the UK’s best beaches and relish each overnight stop, all of which are highlights. 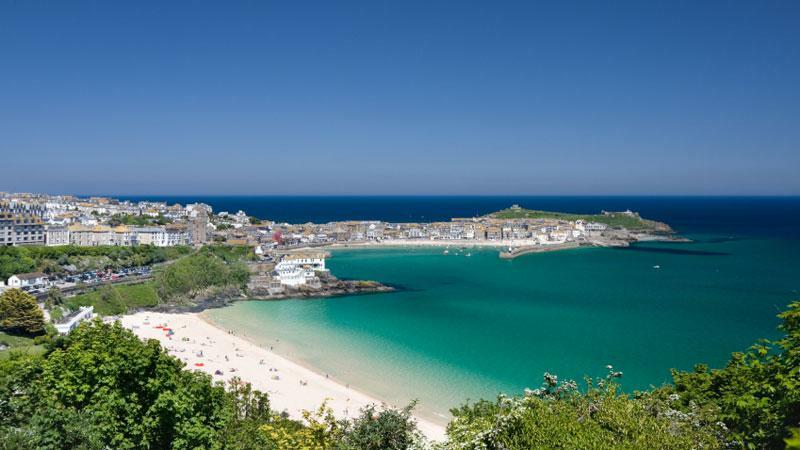 By the time you arrive in St Ives, the most famous of Cornwall’s holiday towns, all you will want to do is turn around and do it all over again. 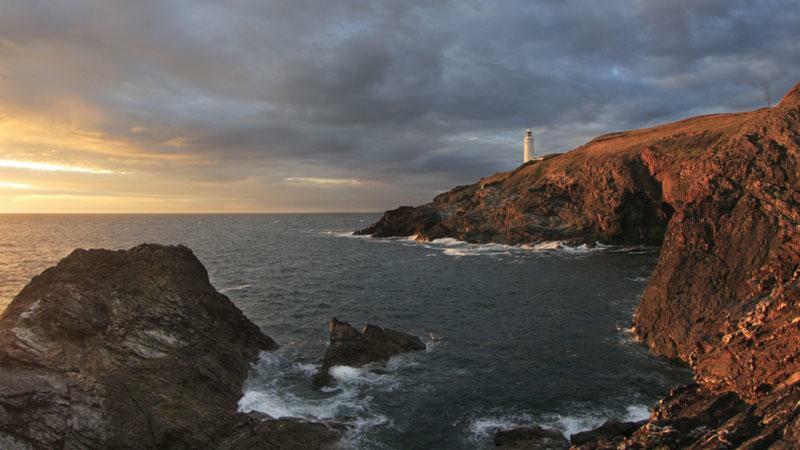 For all the information you need on the South West Coast Path, you can download our free guide. 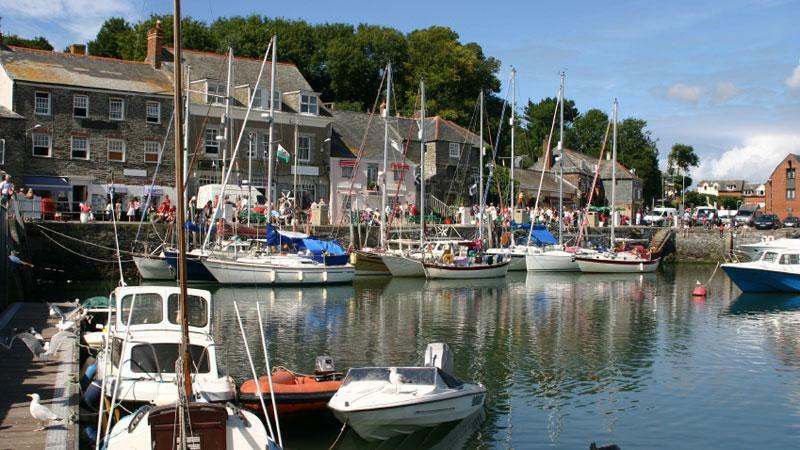 Synonymous with TV chef Rick Stein, Padstow is a delightful mix of piers, inns, restaurants and craft shops huddled around a small harbour. Padstow is a 270 mile (5 hour) drive from London. It is also accessible by train and bus from London in 5 hours. 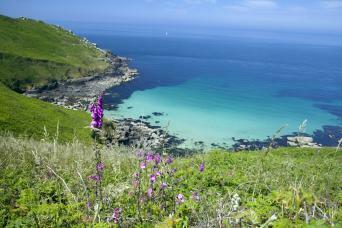 A lovely start to your walk along low cliff tops, with tempting beaches below. The prominent Trevose Head offers wonderful views of the beaches ahead and Constantine Bay is a great spot for a relaxed picnic. This rugged coast of little coves and jagged headlands has been the graveyard of many ships. Local legends, expansive views and the three miles of sand at Watergate Bay are real highlights. Leaving the busy town of Newquay behind you immediately find yourself on the famous surfing beach of Fistral. Then look out for the prolific wildflowers on West Pentire Headland and the colonies of kittiwakes and waders. A day of steep climbs and descents through an area of ancient mines, many of which are now home to bats. The area around St Agnes Head is a favourite for birders. Smugglers coves, with colourful names such as Ralph’s Cupboard pepper the coast. Cliffs, dunes and estuaries all contribute to a wonderful day of walking. 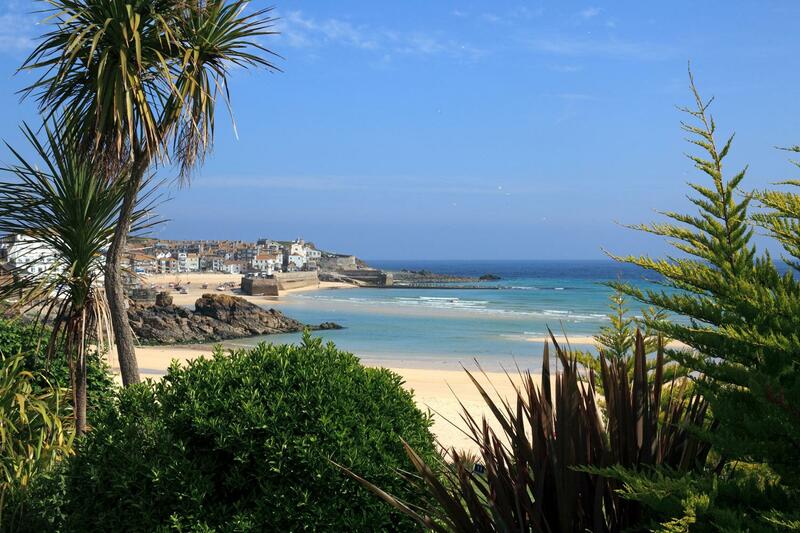 Your walk begins at the Hayle Swing Bridge, the oldest in Britain and ends in the delightful town of St Ives, where you could easily spend a few days exploring the galleries, craft shops and excellent cafes. Before your onward travel day from St Ives, you may wish to explore the promenade and dive into the local culinary delights! One of the highlights of this tour is the high standard of the accommodation. We specifically choose the hotels, inns, guesthouses and B&B’s to ensure that you enjoy every minute of your stay. They all offer a warm welcome to walkers, traditional hospitality and delicious local food. If you require single rooms we would be happy to accommodate you, subject to availability. There is a single room supplement payable. Solo walkers are welcome, but there is a solo walker supplement to cover the additional cost of luggage transfer. A hearty breakfast is included each morning. Most of your accommodations will be more than happy to provide a packed lunch on request and this can be booked on arrival. Dinner is available either at your accommodation or nearby pubs or restaurants. 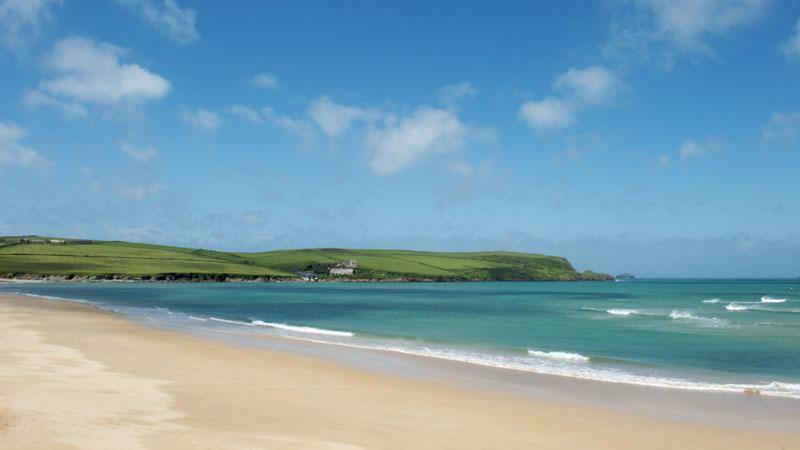 We strongly recommend adding extra nights in Padstow and St Ives. In high season or weekends some accommodation will not accept one night stays in these locations. Additional nights can be added at any point on the walk. This Grade II listed building has been tastefully converted from a school library into a lovely B&B, with a patio, lounge, and a breakfast area, which overlooks the garden. The North Inn is a traditional ivy-clad Cornish village pub with purpose-built guest accommodation to the rear. The rooms have modern bathrooms and balconies on the seaward side. Oceanfront living at Perranporth Beach allows you to eat well and sleep well. The hotel offers locally sourced and freshly prepared food to order served in our traditional Cornish bar. The Queens Hotel is situated a 2 minute walk from the harbour, each room is bright and spacious, and comes with a flat-screen satellite TV. You can start this trip on any day between March & October subject to availability. This area is very popular so it is best to book far in advance. We recommend April, May and June when the spring flowers are out and September and October when the summer holiday makers have gone home. If you require single rooms we would be happy to accommodate you, subject to availability. There is a single room supplement payable. Solo walkers are also welcome, but there is a solo walker supplement to cover the additional cost of luggage transfer. This holiday is graded from moderate to strenuous depending on the itinerary you choose. Although you follow the coast quite closely it includes plenty of up and down and some steep sections.You will be walking on a national trail, so the paths are usually well-maintained. The path is well waymarked throughout and we supply a detailed map and guidebook so you shouldn't have any problem following the trail. By Rail/Bus—Trains run from London to Bodmin Parkway (3h40) and connect with buses to Padstow. Use Traveline to plan your journey. By Bus/Train - Bus to St Erth (15min) and train to London (5h). Returning to Padstow to collect your car is possible by train and bus but will involve a couple of changes. You can find information for travelling to and from Padstow & St Ives by clicking on the Traveline Website. See National Rail for booking trains in advance. Although you are following the coast the ascents and descents are often steep and you will need strong knees and a good level of hill fitness. If you currently don’t enjoy that level of fitness, regular walking in hilly terrain supplemented by cardio vascular exercise for at least 3 months prior to your walk is recommended. A good gym or personal trainer will be able to draw up a personalised training programme. Yes, but it's really easy. The path is well waymarked throughout and we supply a detailed map and guidebook so you shouldn't have any problem following the trail. 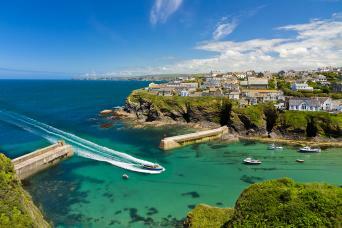 We suggest you book as soon as your plans are finalised as Cornwall is extremely popular over the summer months. Even if you are booking last minute we will always try and accommodate your plans, so please do give us a shout. Are there upgrade options available? You will need good walking boots (ideally waterproof), comfortable walking clothes, waterproof jacket and trousers, a daypack and hats/gloves etc. We will send you a full equipment list as part of your info pack. My favourites are April, May and June when the spring flowers are out and September and October when the summer holiday makers have gone home. Well organised with a variety of accommodation that ranged from basic to more modern updated rooms often in very scenic locations. What they all had in common was friendly and welcoming staff that did their best for you and were perfect hosts. Breakfast often had the personal touch, used local produce and were perfect for a days walking. Made the trip using 6 walking days which gave us the time to spend the last afternoon in St Ives. Clear instructions, great walking guides, with the only area that we did not enjoy was Newquay but the walk soon took us back out to the cliff tops once we had negotiated the "ferry", brilliant local service. Excellent organisation, really pleased with the overall standard of accomodation close to the footpath with some stunning views. Where accomodation was not available close to the path a taxi was provided. Cornish coastal path in this area is full of beautiful sandy beaches so take a travel towel so you can enjoy a paddle if the weather is good. This was the third walk I've done with Macsadventures. All have been well organised with mostly great accommodation: the exception in this case was the awful Premier Inn in Hayle (which I guess is identical to Premier Inns everywhere). The excellent places were Mary and Tim's very hospitable B&B in Porthcothan and the very luxurious with million dollar views Pedn Olva in St Ives. I am a female solo walker and I walked from Padstow to Penzance. It felt very safe. The scenery is stunning - high cliffs - this is not a walk for those afraid of heights - and turquoise water. I stopped frequently and stared at the cliffs and the water. There are gigantic beaches, often almost deserted (I was there is April.) Occasionally I took a wrong turn and always found someone to help me get back on the path. 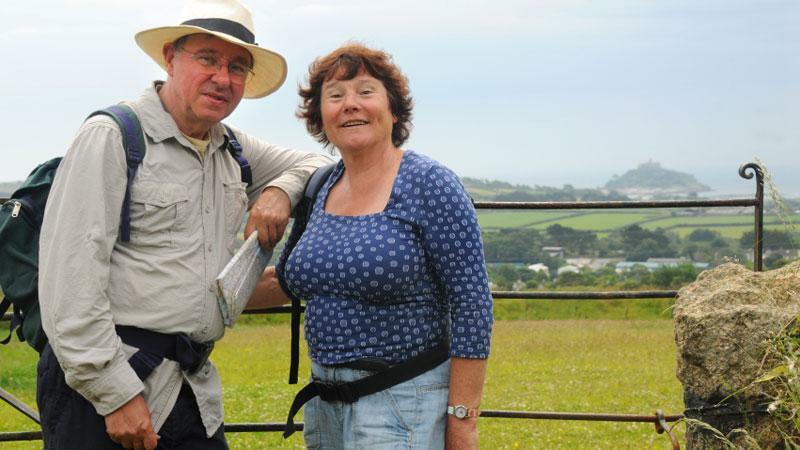 The Cornish people I met while walking, and those in the villages were very pleasant, helpful and friendly. The terrain is frequently challenging - there are lots of steep ups and downs, and can be rocky. 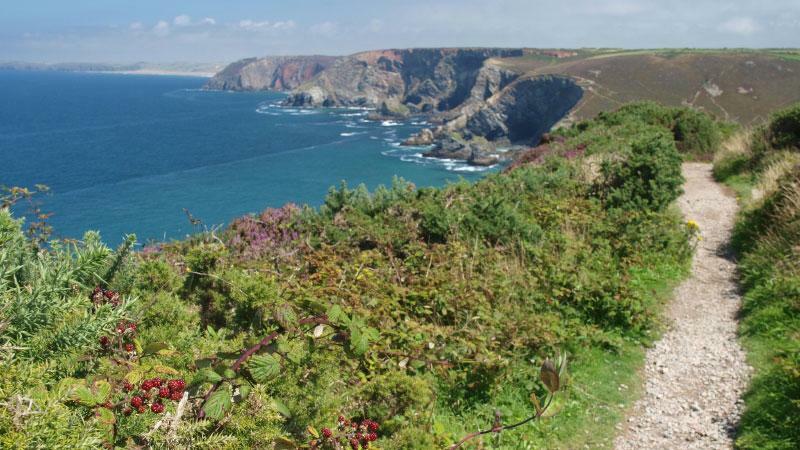 It is essential to read The Complete Guide to the South West Coast Path by the South West Coast Path Association to be aware of difficult stretches, for me the Perranporth to Portreath section. Beware of Newquay - getting out of Newquay and back on the path was a challenge. The path can be muddy and boggy in April, but not impassable. Macs helped me twice while I was walking, both times with speed and efficiency. The first time was when a hotel said they had not received payment for my stay; I called Macs and they immediately called the hotel and straightened it out (they had in fact arranged the payment.) The second instance was when it seemed my bag had not been delivered: I called Macs and they researched it right away and got back to me (the bag had been delivered but misplaced by the hotel.) The accommodations ranged from standard to lovely, my favourites being the Portreath Arms in Portreath and Cornerways in St Ives. It is worth it to take a day off and visit the Tate Gallery in St Ives. The Macs is a friendly and dedicated service provider. My agent, Cara Macaulay, helped me in the lead up to the trip, making sure that everything was arranged to my satisfaction, and answering all my questions. I have used Mac's to plan walking trips four years in a row now. Each trip has been well planned, with good accommodations, plenty of helpful information and people at Mac's who are ready to help and address any problems that arise. The variety of itineraries and the possibility of customizing any one of them is part of what attracted me to Mac's. I am very happy with the service Mac's has provided, and I will use them again. Very well organised. Everything went like clockwork. Have never used Macs adventures before but would definitely recommend them and will be using them again. A varied series of walks with plenty of cliff top views and sandy beaches giving a chance to get your boots off for a paddle. Some great places to stay overnight, good food and ales. 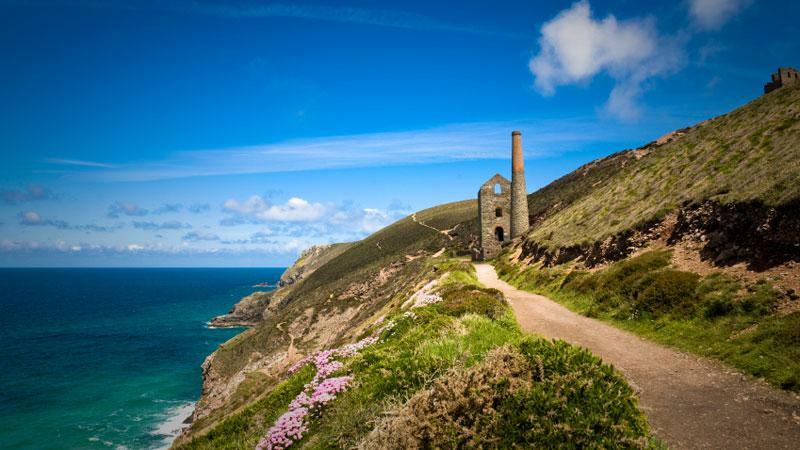 If you love walking, then this section of the South West Coast Path is a “must-do”. 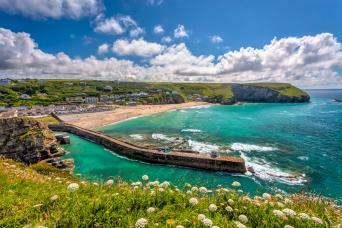 Cliff top and coastal walking, huge sandy beaches, hidden coves, great birdlife and overnight stays quaint fishing villages and traditional Cornish towns. If these sound like the perfect ingredients for a walking tour then this trip is for you!